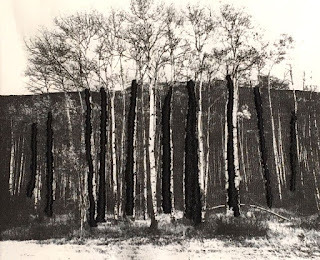 For the last few days, I've been working further into the negative spaces between silver birch trees on a fresh print of the image I posted on 30 October. 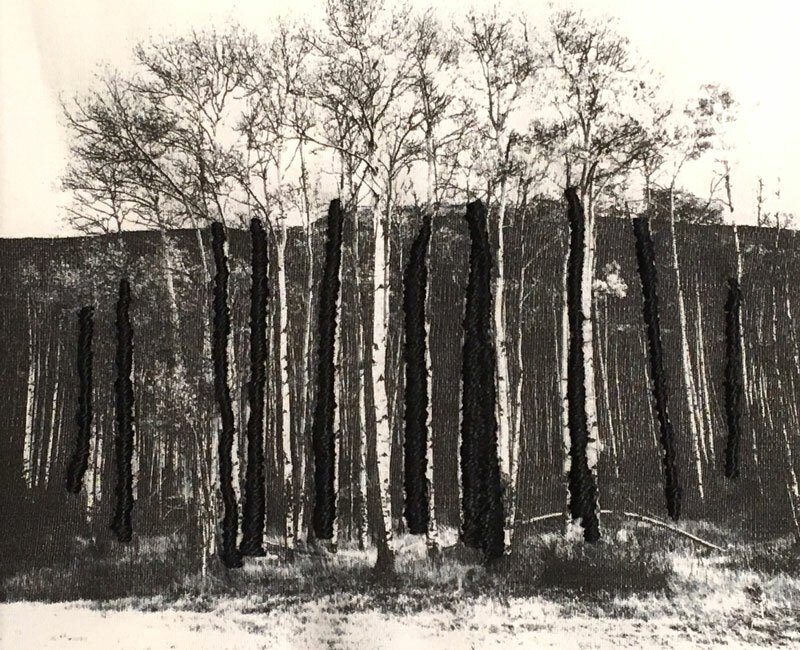 I have yet to add coloured stitching to suggest leaves but was interested in the black and white effect I was getting around the trunks below. 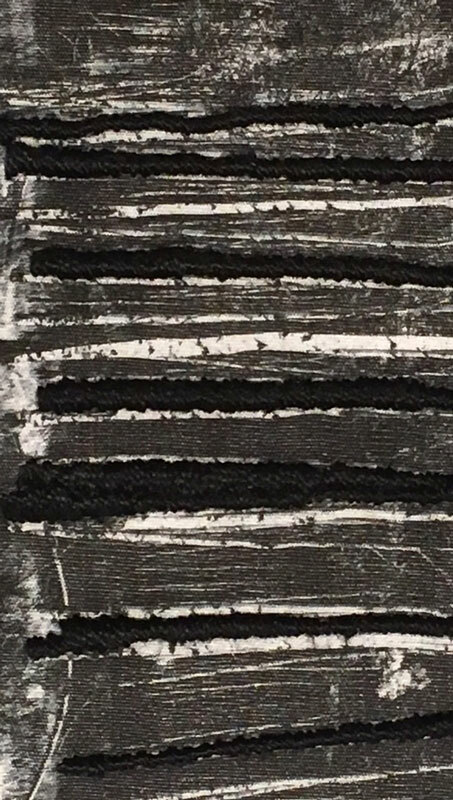 I was experimenting with using thick and thin bars of stitching and considering carefully which negative spaces should be stitched and how much of the dark grey space should be covered. As I worked, it occurred to me that it would be interesting to photograph the image and crop, perhaps giving thought to a piece of weaving. There is much more to do before I could begin a piece of weaving, not least to work out the black / white balance which is not right here. 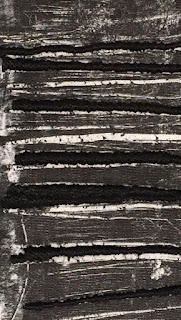 I also need to experiment with ways of achieving the contrast between the thick dark grey / black stripes and those very fine white trunks and maybe to consider the inclusion of some colour in some way. 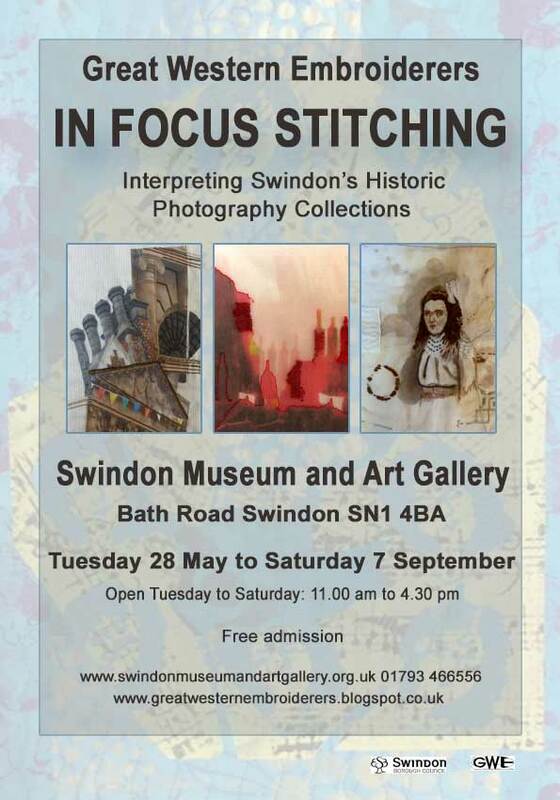 Perhaps a combination of weaving and stitch might be the best route. My next move will be to work in pen and ink and also pencil on paper, working on small parts of the image and see where that goes. I will post further if anything interesting results. I do see its potential for abstraction in a weaving though, an interesting idea.